The Liberty Biker Jacket is a wardrobe staple biker jacket with a tailored fit. The Liberty features a zip and quilting detail with a detachable belt. 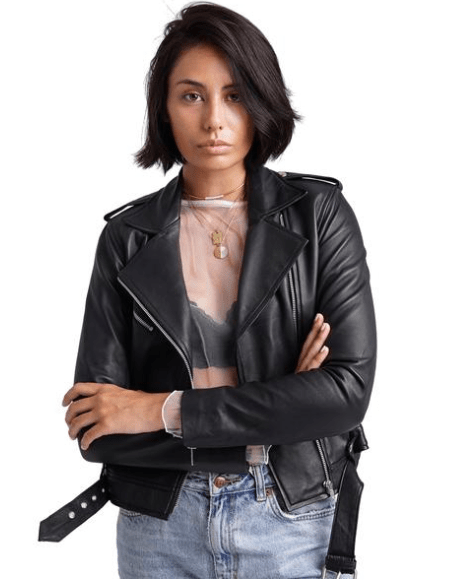 This is the perfect leather jacket for everyday use that can be dressed up or down – available now at The Barefaced Bride!